Spanish espadrilles, infused with the romance of cobbled city streets, elevate the classic style with supple suede and natural stitches. Jute and rubber sole. 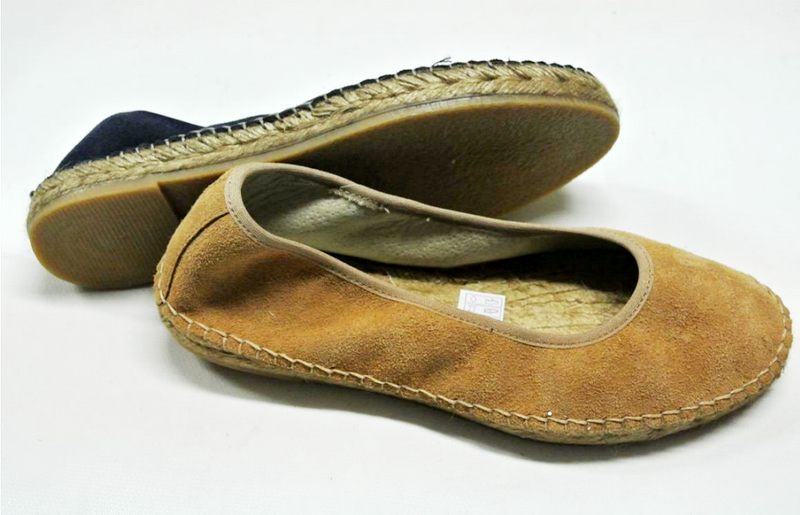 Natural, Camel or Navy Suede Ballerina round toe Espadrille handsewn by CASA HERNANZ, Madrid's more famous institution. 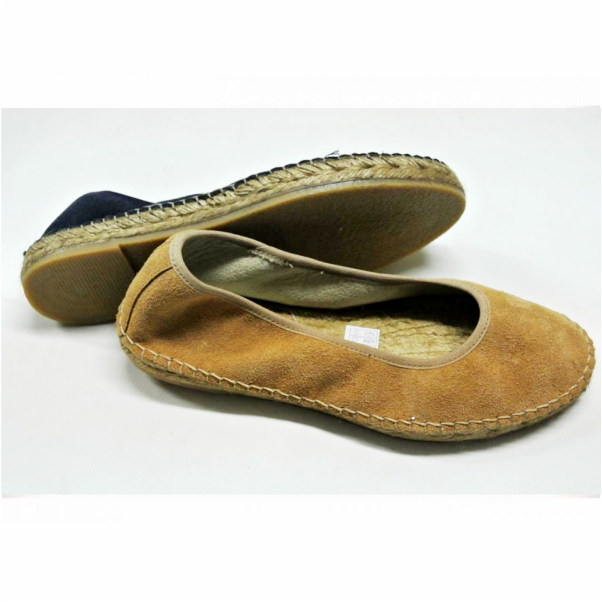 Even the King reputedly buy his espadrilles here. 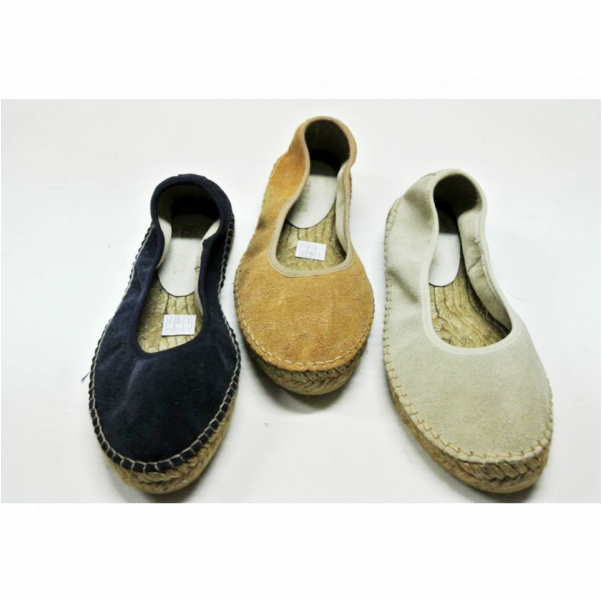 Open since 1845 CASA HERNANZ is a family run rope business and their most popular item, the oh so Spanish espadrilles.